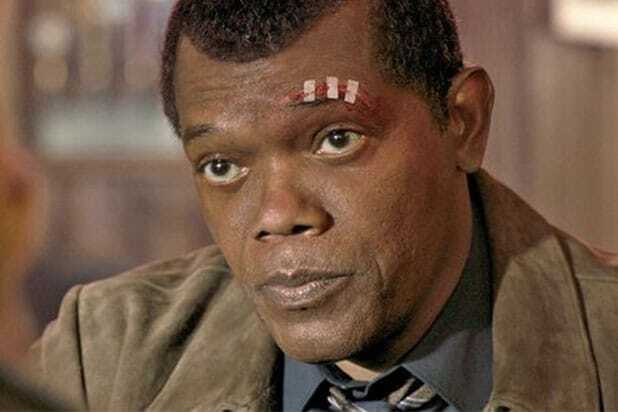 Samuel L. Jackson, who is 70 years old, was made to look 25 years younger as Nick Fury for the ’90s throwback movie “Captain Marvel.” And though the studio has previously de-aged Michael Douglas (“Ant-Man” films), Kurt Russell (“Guardians of the Galaxy Vol. 2”) and Robert Downey Jr. (“Captain America: Civil War”), the work on Jackson is the first time Marvel has done this for a co-lead actor for an entire movie. De-aging is a meticulous, time-intensive process. Part of that process involves filming a body double that the visual effects artist can use as a reference. In making the leap between a handful to now hundreds of shots, Marvel tasked the company Lola Visual Effects to make some tests to see what Jackson could look like without the aid of a double. The payoff was enormous. The end result in “Captain Marvel” is seamless, easily creating the illusion that Fury is far younger than the actor playing him. Townsend said that the goal was to always avoid the “uncanny valley” effect and to make Jackson’s youth look natural and unnoticeable. De-aging, or “youthening” as the VFX experts at Marvel also call it, requires repeatedly and painstakingly manipulating an individual frame of a movie to make an actor look younger. Imagine trying to use Photoshop to make a model look thinner or younger on a magazine cover: you paint out any wrinkles, smooth the skin, fill in pores, bring in a person’s cheeks or chin, etc., but now do that frame by frame across a two-hour movie. Claus helped pioneer the de-aging process with “The Curious Case of Benjamin Button” and in creating the “Skinny Steve” effect in the first “Captain America” movie, in which Chris Evans was slimmed down at its start, a precursor to the technique used today. But he said that it’s a “misconception” that the technology itself has changed or evolved drastically in the last 10 years. What has improved is their experience and knowledge of the physiology of the human body and face. Townsend said the goal is always to maintain as much of the performance as possible, to manipulate the image without destroying the original photography. Smooth out too much, and you lose the nuances of the actor’s performance but also end up with unnatural, plastic-y looking skin. And in striving for realism and understanding the human face, Claus says what they do is much more than photoshopping. The question that remains is how Marvel will use this technology in the future, or what it means for upcoming movies from other filmmakers. Martin Scorsese is planning to de-age Robert De Niro and Al Pacino for “The Irishman,” and Ang Lee is de-aging Will Smith for “Gemini Man.” Claus says that on future projects, using a body double is still ideal. But considering the scope of projects like “The Irishman” and “Gemini Man,” the VFX teams on those films may look to take Lola’s lead. Townsend isn’t sure of the specific techniques that Scorsese and Netflix are utilizing but says that the process is the same and reiterated that the goal is always to do the most you can to fully capture the actor’s performance and get out of the way of the story.